Combine ricotta cheese, pumpkin puree, egg yolks, confectionary sugar, cinnamon, nutmeg, and ginger in a food processor or blender until smooth, pulsing and scraping down sides as needed. (Another option is using a stand mixer with a paddle attachment.) Scoop batter into a lightly greased 9” x 9” cake pan and smooth the top. In an oven preheated to 325°F, bake for 1 hour or until firm. Remove from oven, cool to room temperature, cover, and refrigerate overnight. Melt white chocolate in a double boiler. While chocolate is melting, shape the cheesecake mix into balls, 1 teaspoon to 1 tablespoon in size (or choose any shape or size you prefer). 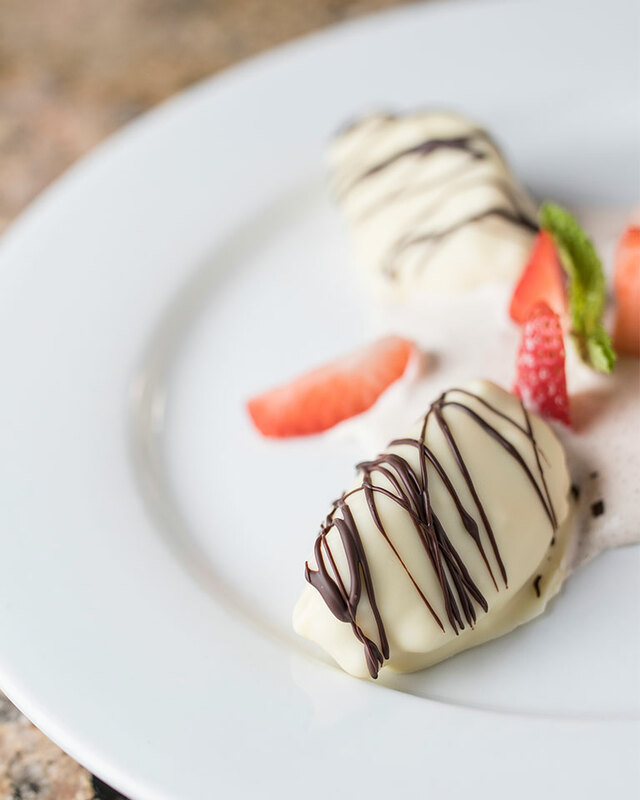 Roll truffles in the melted chocolate, then using a toothpick or small fork, place truffles on a tray lined with parchment or wax paper. Set aside to cool. Chill at least 1 hour before serving.